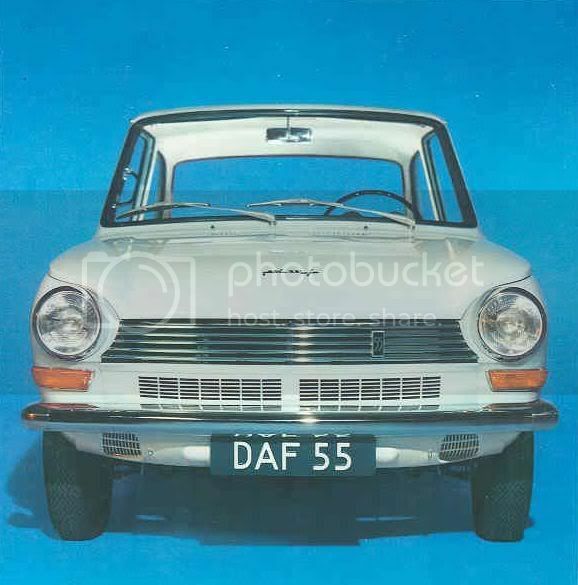 Launched last year as the single 44 saloon, DAF’s new range substantially increases in size for 1968 with the introduction of an estate and, more significantly, of the 55, basically a 44 powered by a Renault engine, available as a saloon, then as an elegant coupe. 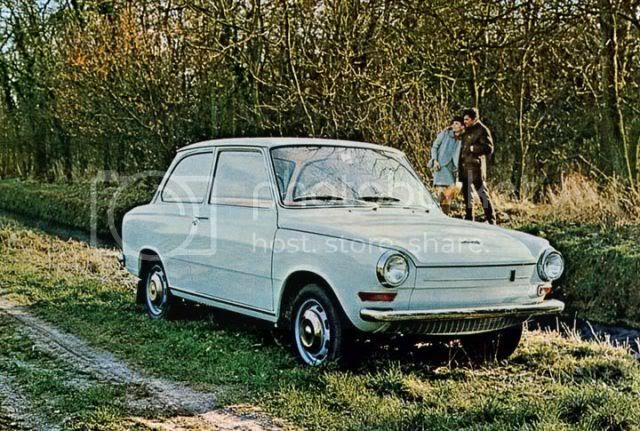 Its valiant air-cooled twin having reached the limits of its development, DAF indeed turned to Renault instead of designing a new powerplant. As a result the French “Major” engine is now produced under licence in the Netherlands. Though the 55 is therefore the first of the company’s cars to be fitted with a liquid-cooled four, it remains a DAF without the shadow of a doubt, enjoying all the ease and efficiency of the in-house Variomatic transmission. ● Introduction: September 1966. Construction: unibody. Engine: air-cooled flat two, 0.85-litre, 40 hp, mounted at the front. Transmission: to the rear wheels through a continuous variable-speed gearbox. Suspension: independent on all four wheels. Brakes: hydraulic, to drums on all four wheels. Length: 385 cm. Top speed: 125 kph. Range: two-door “Standaard” saloon, two-door “Luxe” saloon, two-door “Combi Luxe” estate. Fitting a larger, more powerful Renault engine under the bonnet of a DAF 44 to create the new 55 has required a few modifications to the basic car. These include a longer front end sporting a fake chromed grille, a new front suspension using torsion bars, and front disk brakes. ● Introduction: September 1966 for the original 44, December 1967 as the 55. Construction: unibody. Engine: water-cooled inline four, 1.1-litre, 50 hp, mounted at the front. Transmission: to the rear wheels through a continuous variable-speed gearbox. Suspension: independent on all four wheels. Brakes: hydraulic, to disks on front wheels, drums on rear wheels. Length: 388 cm. Top speed: 135 kph (saloon and estate) to 140 kph (coupe). Range: two-door “Luxe” saloon, two-door coupe (from March 1968).